Is self tan like Marmite – you either love it or hate it?!! Self-tan is occasionally described as the “Marmite” of the beauty world. You either love or hate it. The results can be equally diverse. Upon application, the intention is a lovely sun-kissed glow. Nevertheless, we’ve all experienced the unattractive tango tones, patchiness and streaks, following an application. I’ve also read reviews where the product has sometimes turned green! Plus, there is that all familiar pong of malty biscuits. The best test to see if the colour is good is to do a small patch test, then check the colour in the daylight. This can be a great success or, alternatively, one which you weren’t hoping for. The upshot being a morning spent in the bathroom with lemon juice and a loofah removing said colour!! We have all been there. Fortunately, tanning products have come a long way in the last couple of years. 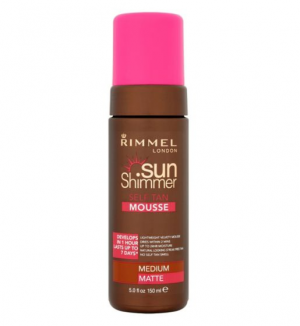 So, whether you prefer a deep golden tan or a more subtle shimmer, there is a product to suit everyone. The selection for self-tan is huge with everything from lotions, mousses, and handy 360 sprays to popping into your local beauty salon for an all over spray tan. Fortunately, most companies do a fair, medium and dark choice so you can usually find one that is suitable for you. I usually go for the fairest shade – but I have, on occasion, bought the dark shade and mixed a little of it with moisturiser – which can work well, too. good price – personally, I’ve bought expensive products that aren’t as good as cheaper versions. once the moisturiser has been absorbed, apply a few pumps of foam onto a mitt (like the St Tropez one best) working your way upwards in a circular motion, starting at the feet – sometimes applying 2 coats, if required. while waiting for the self-tan to develop, always wear something dark, though, I find it does wash out of most clothes. rinse off – if the colour isn’t dark enough, repeat. 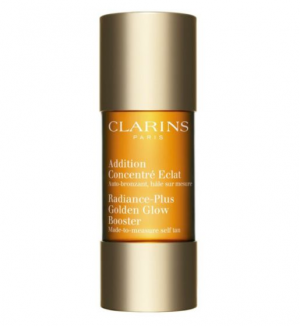 for my face tan I have used ‘Clarins Radiance-Plus Golden Glow Booster’ for several years now – you add a few drops to your moisturiser at night and this, I find, gives a nice glow. Here are a few reviews of ‘self tan’ that I have used over the last couple of years. ot a cruelty free product. I have used this, on and off, for a few years. I’m ready to move on and try something new. It does give a healthy glow – just add 3 to 4 drops to your night time moisturiser. There is a slight odour of biscuits – it’s not strong but it is there. I must be honest. This is my “go-to” self-tan!! I have used it for a couple of years. I tend to use other self-tan products when I have run out of this! It’s easy to apply. Simply apply the foam with a mitt, then leave it on for one to three hours, depending on how dark you want to go. It also claims the self-tan will continue to activate for up to 8 hours following application. I like it as it doesn’t tend to stain my clothes. I also use the St Tropez tanning mitt as I find it to be the best for application. I decided to give this product a try after reading great reviews on the Boots website. Going for the light/medium shade, it gives an instant colour, so you can see where you need to add more. It has a pleasant fragrance of coconuts, but still had the usual faint smell of biscuits. The colour is very subtle but that’s the way I prefer it. It left a nice even tan so wouldn’t rule this self-tan out! I first noticed this product on special offer in Superdrug and decided to give it a try. It normally retails around £8.00. Though I have noticed it’s always on offer in the various shops that sell it. I was impressed with the simple application process, the smell, the colour, the longevity, and the fade. The colour, which is a lovely peach brown, is very near to a natural tan when applied. It comes in light, medium (which I used), and dark. 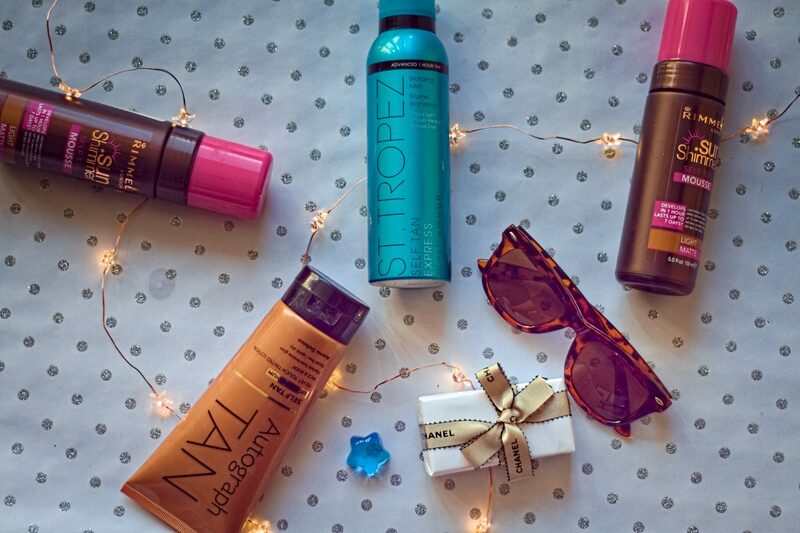 I have used on and off for a few years, usually when I run out of my St Tropez bronzing mousse. After St Tropez, the Sun Shimmer is my second favourite, mainly for the application, colour and price. I found this to be a little messy to apply. It does look a little bit scary when it first slides out of the tube, and I was worried the bathroom would resemble a war zone. But once I started to apply it, the tint of the cream helped me to keep track. It did blend in very well and gave me a natural looking tan. The tint gets deeper as it develops. It doesn’t smell as bad as some tanners but, nevertheless, there is that familiar feint odour, though not offensive. I found it to dry very fast, I did layer a moisturiser over the top once it was dry. This was because it did look streaky in places and I found that helped even it out. The tan did fade quite quickly so topped up again after around three days. Thank you for reading my post. I hope you enjoyed it and if you have any questions, please let me know in the comments. This is not a sponsored post. All items are my own. There are however a few affiliate links. This means that I can potentially earn a small commission (At no additional cost to you). Thank you. Previous Post Flirty Florals and Beige Linen Dresses for Spring!! I hate it because it always makes my pigmentation marks even darker. Never found one that doesn’t do this although I do use Palmer’s Cocoa Butter Natural Bronze Body Lotion and seem to just about get way with this. I know what you mean. I can end up a patchy mess. 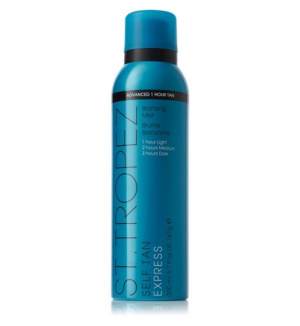 My favourite self tan is St Tropez express – it’s the least messy and uncomplicated. The black costume is a little daring for me – but I’ve just bought a great cover up which will go well with it. Thank you, that really means a lot to me – still learning….but enjoying it, which is the main thing!! are so many new products on offer i think I will try something new. I actually never tried it so wouldn’t know. It sounds a perfect solution but also send like a lot of work. I agree – think you either love it or hate it. thank you for your comment.